A United States Navy veteran and licensed pilot, Craig Thompson has been flying remote controlled aircraft for more than 20 years, and newer UAS platforms since 2013. He has served clients across a broad range of industries, from construction to civil engineering, telecommunications, law enforcement, and public services. His extensive experience as a commercial drone pilot spans hundreds of flights for the tower industry, including detailed tower inspections and audits, as well as commercial construction projects, land surveys, and flood damage assessments for local police and fire departments. He has flown drones internationally in Puerto Rico and Honduras, where he worked with government officials to support humanitarian efforts in the city of Catacamas. In addition to his skills as a UAS pilot, Craig also specializes in 3D modeling and photogrammetry using aerial platforms. 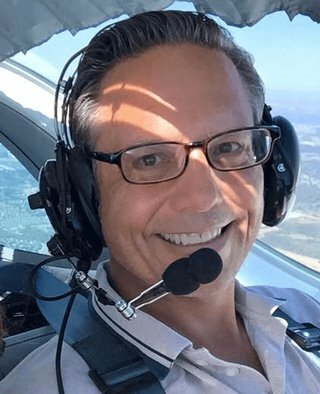 He stays on the cutting edge of the latest technologies, applications, and FAA regulations concerning the commercial use of drones, and can be heard regularly on Fox News Radio affiliate stations nationwide as a UAS subject matter expert. When he is not flying UAS, Craig enjoys flying full-size planes recreationally, or jumping out of them at more than 13,000 feet with his buddies at Skydive Spaceland Dallas.